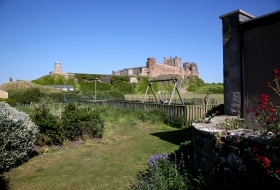 We have tried to think of everything you might require for a comfortable stay in Pepperclose Cottage. Smart LED flat-screen TV with Freeview HD / Netflix / BBC iPlayer and My5. Blu-Ray DVD / CD Player (also with playback from USB). Wifi Broadband access and telephone. CD player with iPod dock. At least 25 feet of good books. Log fire with logs included. Every kitchen utensil you could want. Super-king-size or two twin beds in second bedroom. Private terraces to front and rear with wonderful views. Garden furniture to front and rear terraces. A great sense of style... and anything else we can get you!